Being organised is your secret weapon in business. if you are all over the place with your projects, you will be feeling overwhelmed and stressed out. Nobody wants that so let’s get you prepared. The Simplified Planner by Emily Ley – This planner has a daily and monthly layout. The daily pages give you space to fill in the day by half-hour intervals and make notes on the side of the page which is perfect for writing lists. Erin Condren Life Planner – This planner comes in 2 different layouts; vertical or horizontal. It is super versatile as you have the option to clip in extra pages. It allows personalization using colour coding, space on the side for weekly notes and goals. Passion Planner – The Passion Planner aims to help you break down your goals and create steps that fit into your daily life to make your goals actionable. At the end of each month, there is a section which asks you questions that help reflect on the progress of your goals. Bullet Journal – A customizable analogue system designed by Ryder Carroll. This system is an awesome way to keep a log of your tasks in a very simple and super effective way. Check out this video for more. Asana – This is my top choice for To Do Lists. Plus if you like celebratory unicorns flying across the screen when you complete a task then this is the app for you. Unicorns aside, I love that I can integrate this with my google calendar and if I don’t manage to get a task done it will roll over to the following day which is great as it means that I never miss a task. Google Calendar – This is so versatile as you can integrate it with the calendar app on mac and the Asana to do list app which for me makes a powerful combination for staying on track wherever you are. I also like that you can create different categories for different tasks which means that you can separate work from personal life. Dragon Dictation – Ideas can come at any moment, usually when we are doing the grocery shopping or are sitting on the train. It is easy to have a lightning bolt moment and then allow it to slip away because we didn’t have a notebook nearby. Dragon Dictation is for those flashes of inspiration. You may be a little undecided when it comes to getting a website set up for your business, so we will make it easier for you – Get one! 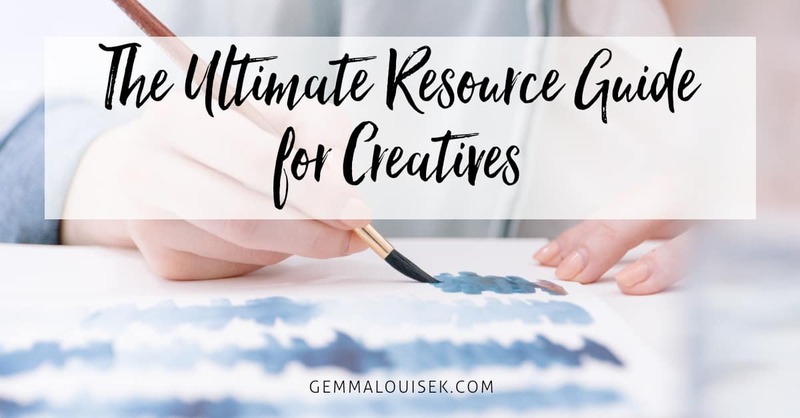 You are going to look more professional and more established with the option to sell your work without all the commissions that often come with selling through other websites like Etsy or eBay. These both offer great customer service and are always around to help which as a business, it is a must to have a super reliable host. Top Tip: Get your domain when you sign up for your hosting – these two web hosting services give you 1 free domain when you sign up. 1. Don’t use a free theme. Always invest! 2. Find a theme provider that offers solid support especially if you are building the website yourself. There are 1000s of WordPress Plugins out there so we handpicked the ones that work very well together and are perfect for creative businesses. In this section, we will break down the most important parts of marketing your creative business online and in person. You might be thinking that you don’t need a mailing list but honestly, it would very silly of you not to have one for your business! Go get one! Right now! MailChimp – When I first started working for myself I didn’t realise how important having a mailing list was. I started out using the MailChimp ‘Free Forever’ plan and it was brilliant as a small business owner. When you first start building a list this is definitely the app to use. You can download 2 apps; ‘MailChimp’ and ‘MailChimp Snap’. Both are great for different reasons. With the standard MailChimp App, you can manage your subscribers, view email campaigns & reports. MailChimp Snap is where the fun of creating email campaigns on the go begins. If you are not on your computer but have some exciting news that you want to get out to your list, then this app is those moments. Videos are one of the most popular mediums for marketing so whether you want to talk about a new art series or create a slideshow of images from your last exhibition these apps are going to help you do just that. iMovie Mac) or AfterEffects, Screenflow or Splice. Ripl and Clipman are great for creating fast videos on the fly too. Where Should You Sell Your Work? 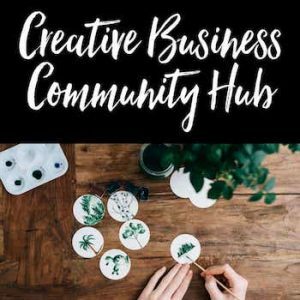 For further help with your creative business head click here to check out planners & workshops. Did I miss something or do you know of an awesome resource I should add in? Let me know in the comments.